Carmen is a partner in the London office of Three Crowns. 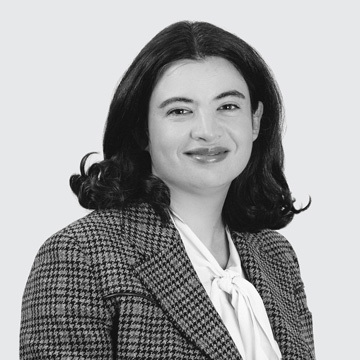 She has appeared as advocate in numerous investment treaty and commercial arbitrations, both under the rules of the major arbitral institutions and ad hoc, and involving a variety of jurisdictions, with a particular focus on Latin America and Spain. Her most recent experience includes the representation of an energy company in an investment dispute against the Republic of Colombia, a consortium of oil & gas companies in a tax stabilization dispute against a Latin American State, an energy company in a shareholders’ dispute relating to a joint venture gas marketing company, a mining junior in its investment dispute against the Kingdom of Spain, and a private equity investor in its investment dispute against the Kingdom of Spain. Carmen is recognized in all major publications, with sources describing her as “a great legal mind” and “an excellent practitioner,” who “understands problems very well in a global way,” “has a lot of availability for the client,” and “has certainly been building up a fantastic reputation” in the market for her work in both investment treaty and commercial arbitrations. Carmen is dual-qualified in civil law and common law, and regularly handles contentious work in English, Spanish, and French. She is admitted to the New York and Madrid Bar, in addition to being a Solicitor of the Senior Courts of England and Wales. Carmen holds law degrees from Columbia Law School, the College of Europe and the University of Murcia (Premio Nacional Fin de Carrera and Premio Extraordinario Fin de Carrera). She is the President of the British Chapter of the Spanish Arbitration Club (Club Español del Arbitraje), and a member of the Arbitrator Appointment Committee of the Madrid Arbitration Court. University of Murcia, Lic, Jur.